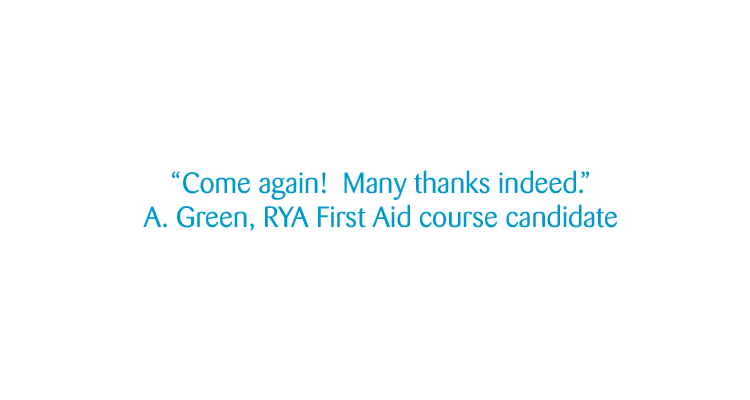 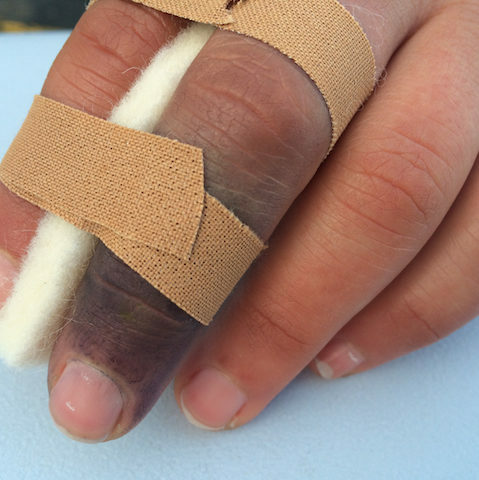 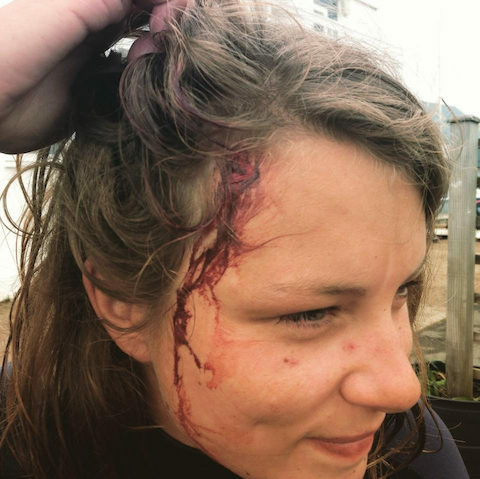 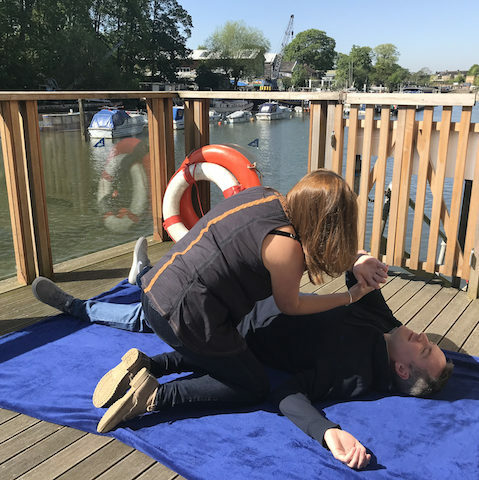 Simon Winkley First Aid Training is based in Surrey and, as a RYA Recognised Training Centre (RTC), specialises in the delivery of the RYA First Aid course. 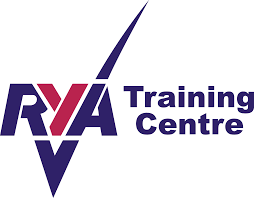 This course can either be arranged at Queen Mary Sailing Club (near Heathrow, SW London - click for location) or brought to your sailing club/watersports centre or any other suitable location, including overseas. Courses can be delivered through Simon Winkley First Aid Training or through any RTC with the correct level of recognition. 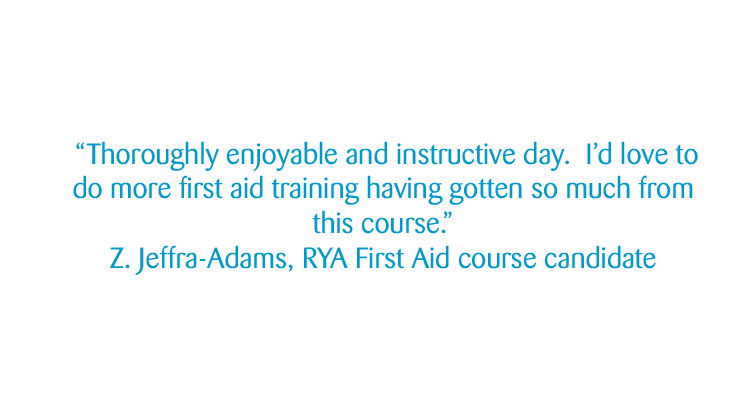 RYA First Aid Manuals and certificates can be supplied or RTCs can supply their own. 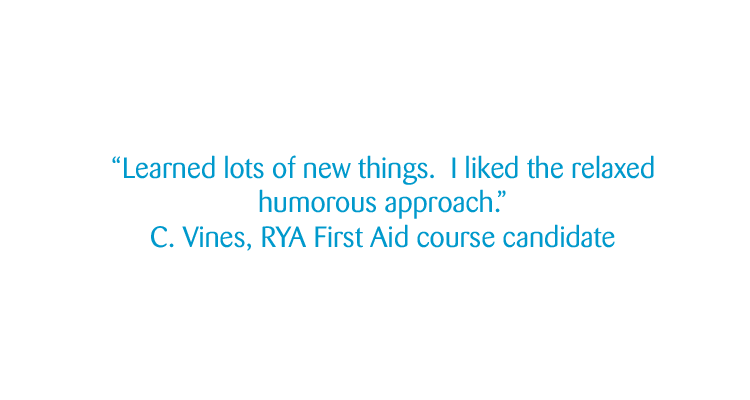 Click here or on the RYA logo to see Simon Winkley First Aid Training on the RYA website and click here to request a booking or to make an enquiry. 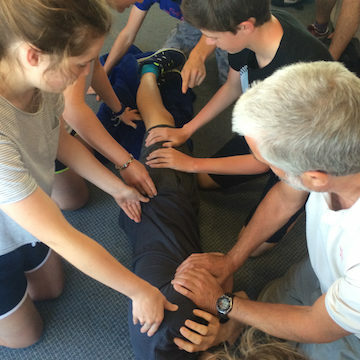 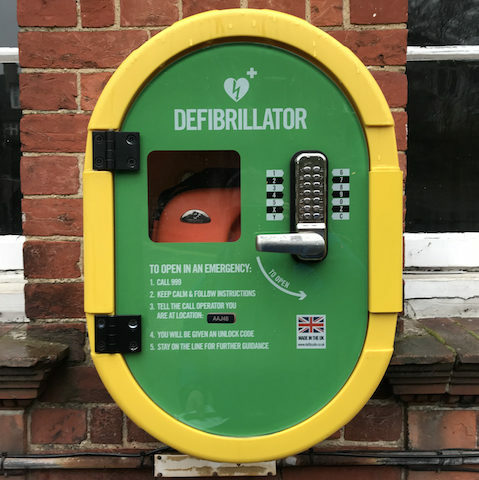 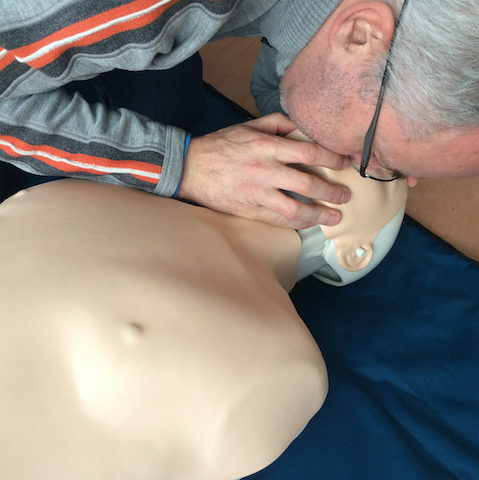 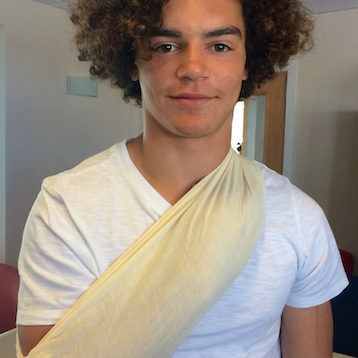 Simon's first aid courses incorporate presentations, film shorts, demonstrations, discussions, role-play scenarios and hands-on student practice to nurture confidence. 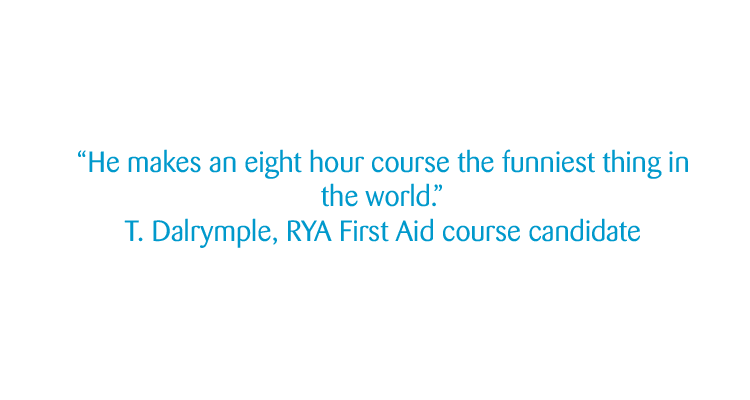 With engaging examples of real situations from watersports and the outdoors the courses aim to be stimulating and enjoyable. 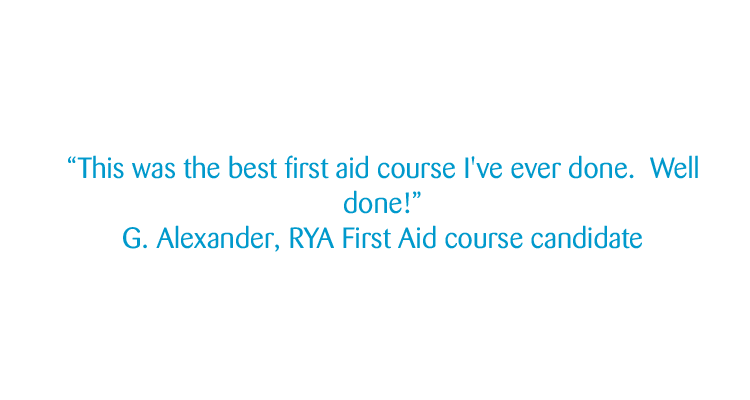 Participants should take away the clear and positive message that the role of the first aider is simple yet rewarding with great benefits for those injured or suddenly taken ill.
First aid courses can be tailored to suit specific requirements - for example for hillwalking or water-based Bronze/Silver/Gold Duke of Edinburgh expeditions.